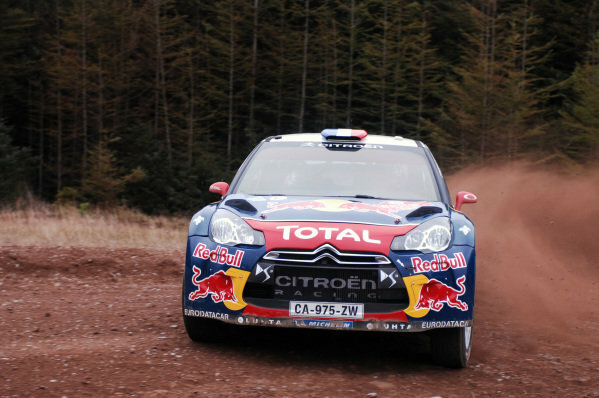 Sebastien Loeb (FRA), Citroen DS3 WRC, in 2nd place on the podium.<br /> FIA World Rally Championship, Rd10, Wales Rally GB, Day Three, Cardiff, Wales, 16 September 2012. 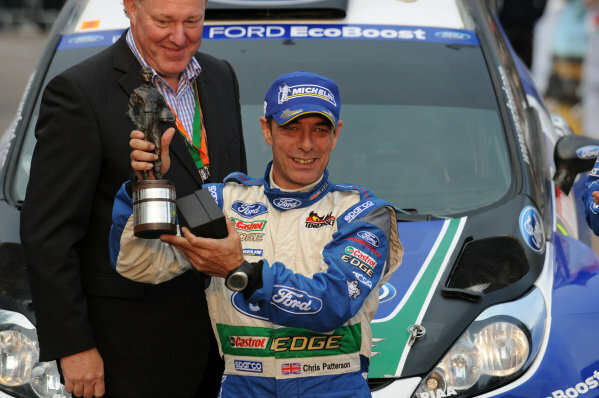 Chris Patterson (GBR) receives the Nigel Harris trophy for the top British co-driver, on the podium.<br /> FIA World Rally Championship, Rd10, Wales Rally GB, Day Three, Cardiff, Wales, 16 September 2012. 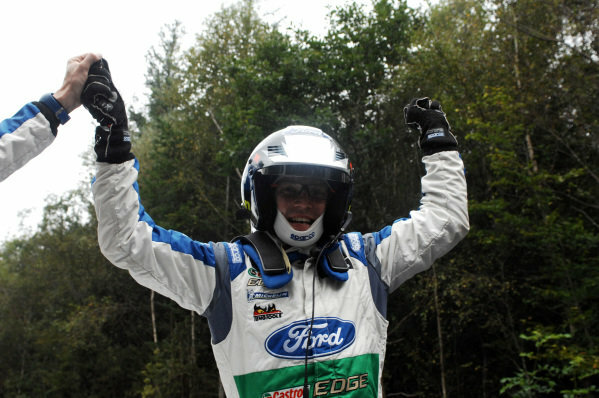 Jari-Matti Latvala (FIN) celebrates victory at the end of stage 19, the power stage.<br /> FIA World Rally Championship, Rd10, Wales Rally GB, Day Three, Cardiff, Wales, 16 September 2012. 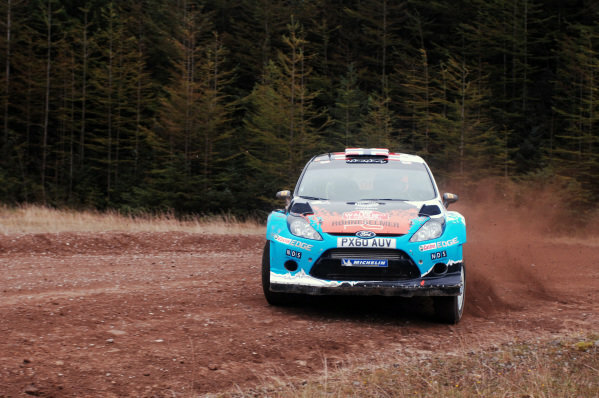 Mikko Hirvonen (FIN) and Jarmo Lehtinen (FIN), Citroen DS3 WRC on stage 17.<br /> FIA World Rally Championship, Rd10, Wales Rally GB, Day Three, Cardiff, Wales, 16 September 2012. 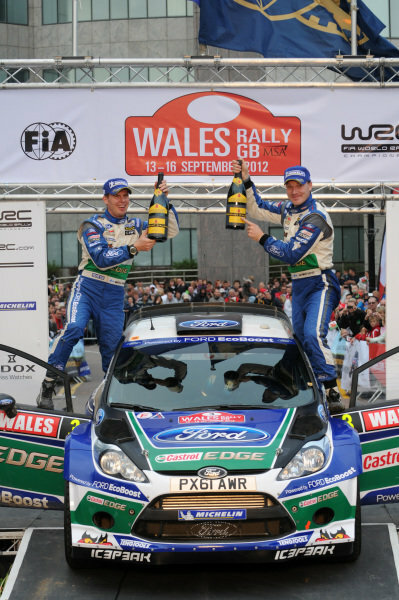 Jari-Matti Latvala (FIN) and Miikka Anttila (FIN), Ford Fiesta RS WRC celebrate victory on the podium.<br /> FIA World Rally Championship, Rd10, Wales Rally GB, Day Three, Cardiff, Wales, 16 September 2012. 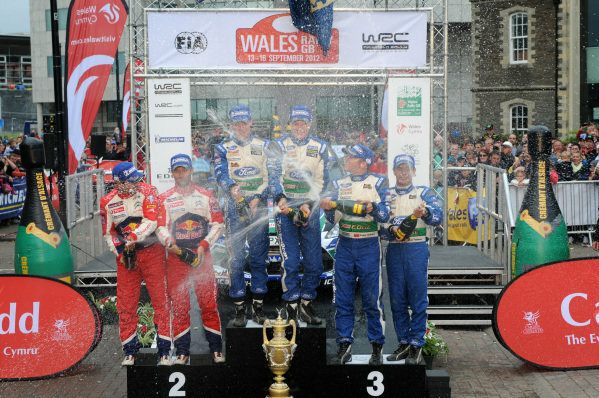 Jari-Matti Latvala (FIN) sprays the winner's champagne on the podium.<br /> FIA World Rally Championship, Rd10, Wales Rally GB, Day Three, Cardiff, Wales, 16 September 2012. 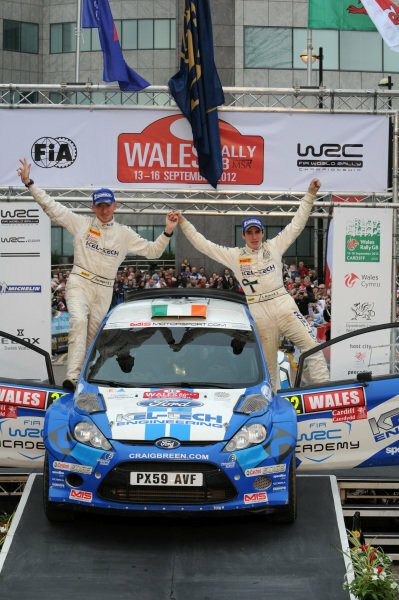 Craig Breen (IRL) and Paul Nagle (IRL), Ford Fiesta S2000, with the family of Gareth Roberts (GBR) on the podium.<br /> FIA World Rally Championship, Rd10, Wales Rally GB, Day Three, Cardiff, Wales, 16 September 2012. 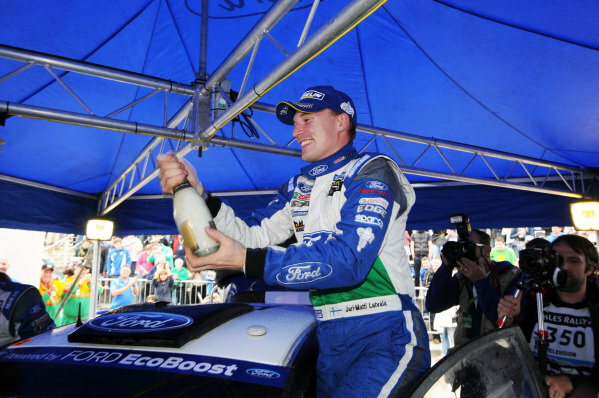 Jari-Matti Latvala (FIN) celebrates victory at the Ford Team service in Cardiff.<br /> FIA World Rally Championship, Rd10, Wales Rally GB, Day Three, Cardiff, Wales, 16 September 2012. 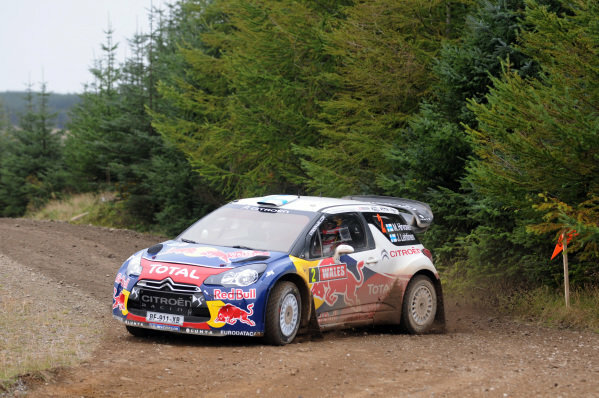 Sebastien Loeb (FRA) and Daniel Elena (MC), Citroen DS3 WRC on stage 17.<br /> FIA World Rally Championship, Rd10, Wales Rally GB, Day Three, Cardiff, Wales, 16 September 2012. 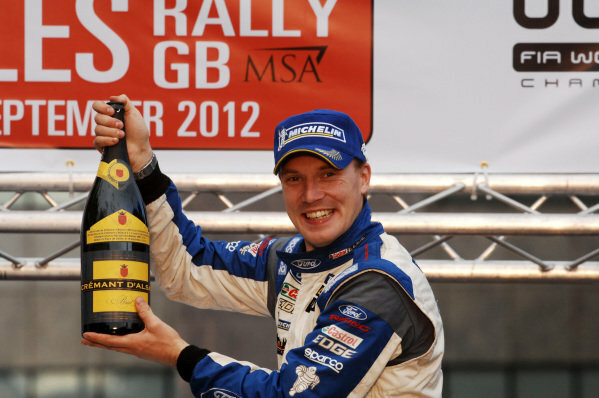 Jari-Matti Latvala (FIN) celebrates victory on the podium.<br /> FIA World Rally Championship, Rd10, Wales Rally GB, Day Three, Cardiff, Wales, 16 September 2012. 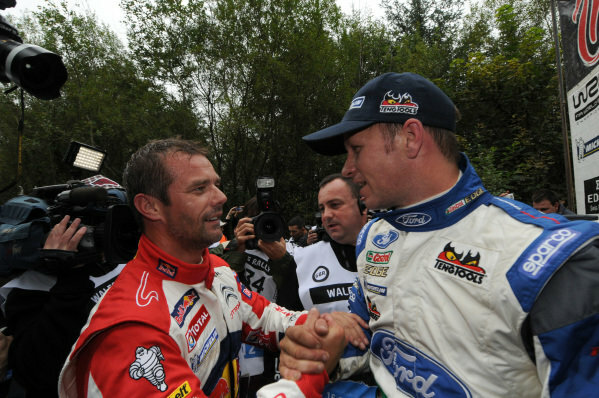 Podium (L to R): Second place finishers Sebastien Loeb (FRA) and Daniel Elena (MC), Citroen, rally winners Jari-Matti Latvala (FIN) and Miikka Anttila (FIN), Ford and third placed finishers Petter Solberg (NOR) and Chris Patterson (GBR), Ford with the champagne.<br /> FIA World Rally Championship, Rd10, Wales Rally GB, Day Three, Cardiff, Wales, 16 September 2012. Sebastien Loeb (FRA) and Daniel Elena (MC), Citroen DS3 WRC on the podium.<br /> FIA World Rally Championship, Rd10, Wales Rally GB, Day Three, Cardiff, Wales, 16 September 2012. 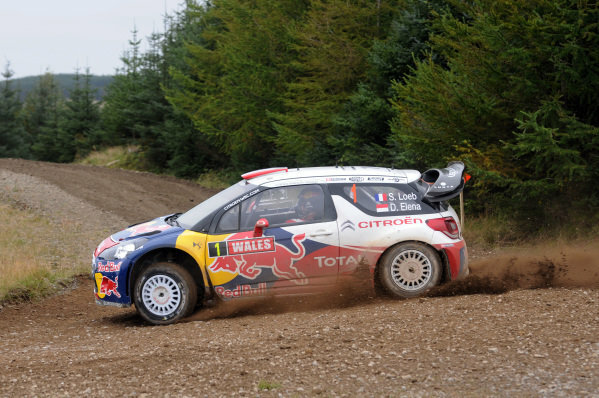 Sebastien Loeb (FRA) and Petter Solberg (NOR) at the end of stage 19.<br /> FIA World Rally Championship, Rd10, Wales Rally GB, Day Three, Cardiff, Wales, 16 September 2012. 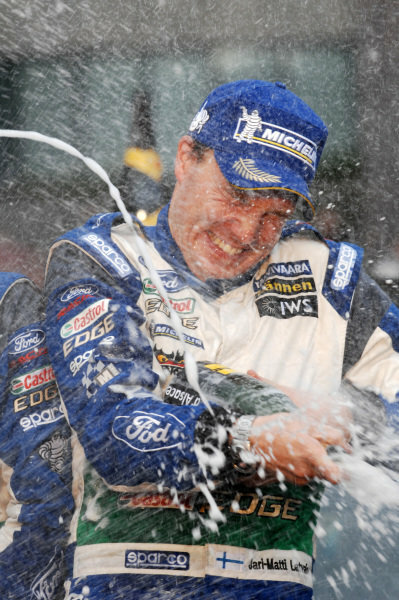 Jari-Matti Latvala (FIN) celebrates victory on the podium with the champagne.<br /> FIA World Rally Championship, Rd10, Wales Rally GB, Day Three, Cardiff, Wales, 16 September 2012. 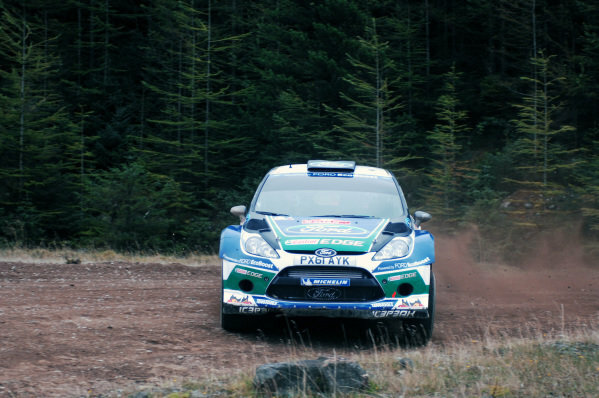 Mads Ostberg (NOR) and Jonas Andersson (SWE), Ford Fiesta RS WRC on stage 17.<br /> FIA World Rally Championship, Rd10, Wales Rally GB, Day Three, Cardiff, Wales, 16 September 2012. 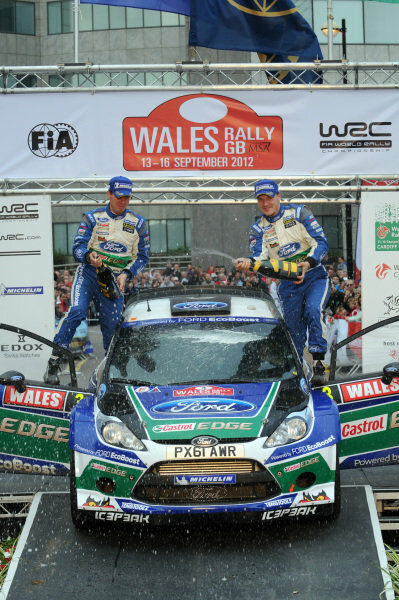 Petter Solberg (NOR) and Chris Patterson (GBR), Ford Fiesta RS WRC celebrate 3rd place on the podium.<br /> FIA World Rally Championship, Rd10, Wales Rally GB, Day Three, Cardiff, Wales, 16 September 2012. 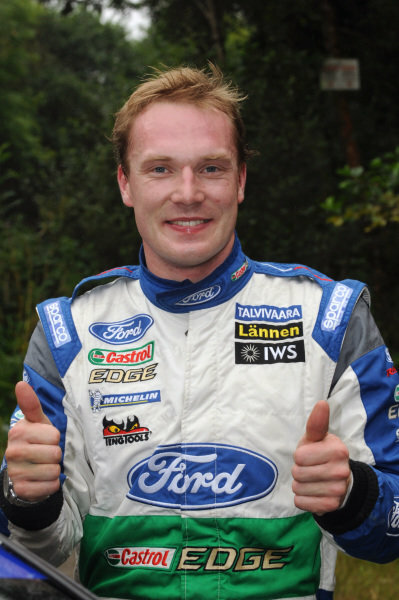 Thumbs up in celebration from Jari-Matt Latvala (FIN) at the end of stage 19, the power stage.<br /> FIA World Rally Championship, Rd10, Wales Rally GB, Day Three, Cardiff, Wales, 16 September 2012. 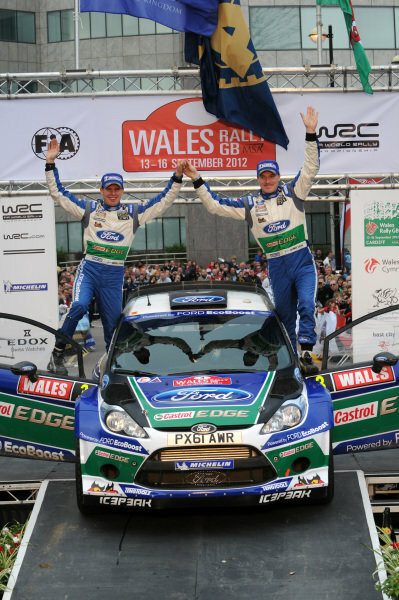 Craig Breen (IRL) and Paul Nagle (IRL), SWRC winners on the podium.<br /> FIA World Rally Championship, Rd10, Wales Rally GB, Day Three, Cardiff, Wales, 16 September 2012. 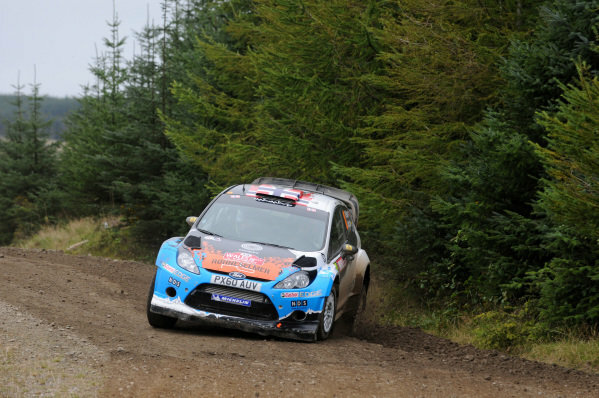 Petter Solberg (NOR) and Chris Patterson (GBR), Ford Fiesta RS WRC on stage 17.FIA World Rally Championship, Rd10, Wales Rally GB, Day Three, Cardiff, Wales, 16 September 2012.